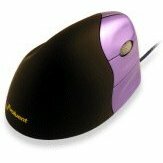 We wrote about the Vertical Mouse back in January, one of my friends has been suffering from R.S.I. so decided to buy one of these to see if it helped, so here’s his review of the Vertical Mouse, cheers Scott. Working from home on my PC has been a pleasure & a blessing for the last few years until around June when I developed a sharp R.S.I. pain from using my mouse, the only thing I could do was take regular breaks away from the computer but I soon found this more of a hindrance than a solution and it was never long before the pain would come back. I decided upon the Evoluent 3 vertical mouse which keeps the wrist in a more natural handshake position rather than the common twisted forearm, the logic sounded good and I decided to try it out. The Evoluent comes beautifully presented and worked straight out the box using a USB port, this worked for me as my wireless mouse was still connected and worked along side it making the transition easier for certain tasks like image manipulation which I found took a little more time with the vertical mouse, mainly due to it being a new experience. The Evoluent felt strange and almost cumbersome for the first few days and although daily tasks quickly become more natural I was still unsure as to whether it helped any with the RSI as the pain was still present, it took around 1 to 2 weeks for the mouse to fully come into its own, after 2 weeks my RSI pain has completely disappeared and using the mouse felt natural and effortless. There are sensitivity and DPI settings for the mouse 800dpi to 2600dpi that you can adjust so this would suit gamers as well, Battlefield 2 being a favourite of mine posed no problems at all. Overall I am extremely happy, it takes a good week or two for the pain to ease & disappear and for everyday tasks to feel more natural but I firmly believe that if you stick with it and give it a fair shot then any RSI pain and initial misgivings soon dispel. A problem solved in my case. You can buy the Vertical Mouse from Amazon.com for $69.95 or Amazon.co.uk for £76.99 (which doesn’t seem fair at all). Pre-order your Canon cameras today!